Even today I make mistakes, and I always ask myself - “WHY"?? 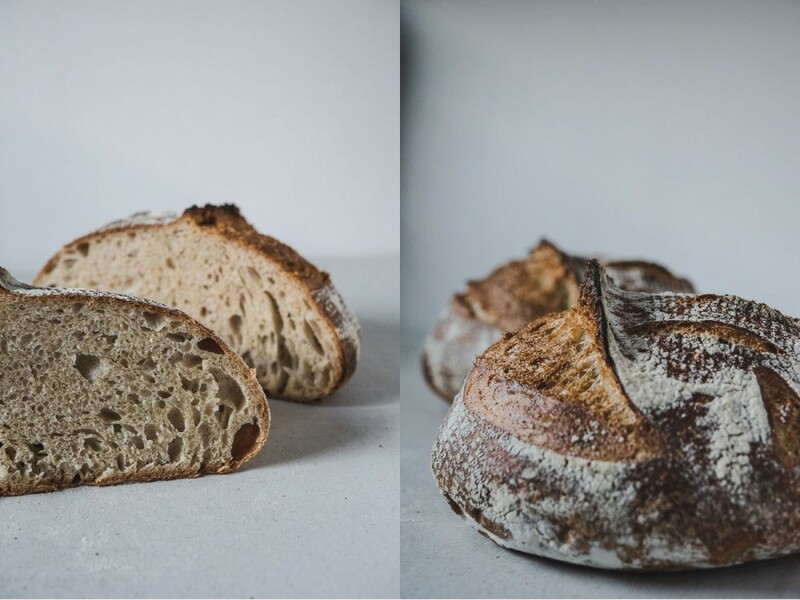 I make my own starter, I use organic flours, and most of the time I use bottled water (bread likes the good stuff). You have to have a patience, and you have to practice, and first of all don’t give up easily. 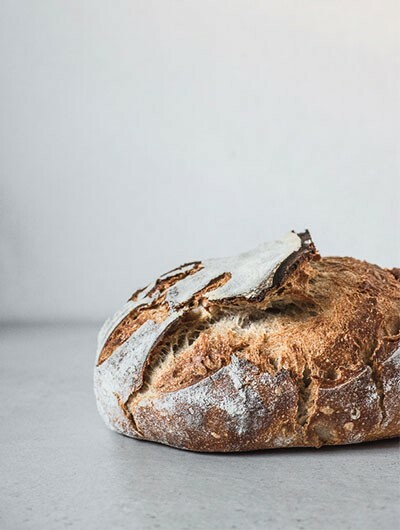 It takes a bit of time and a lot of patience to become a better baker, and even more to become a great one. 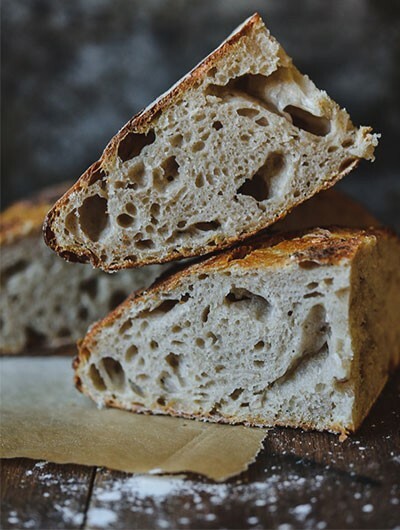 I'm sharing with you my favorite bread recipe, adapted from a few books and mastered during 2 years. 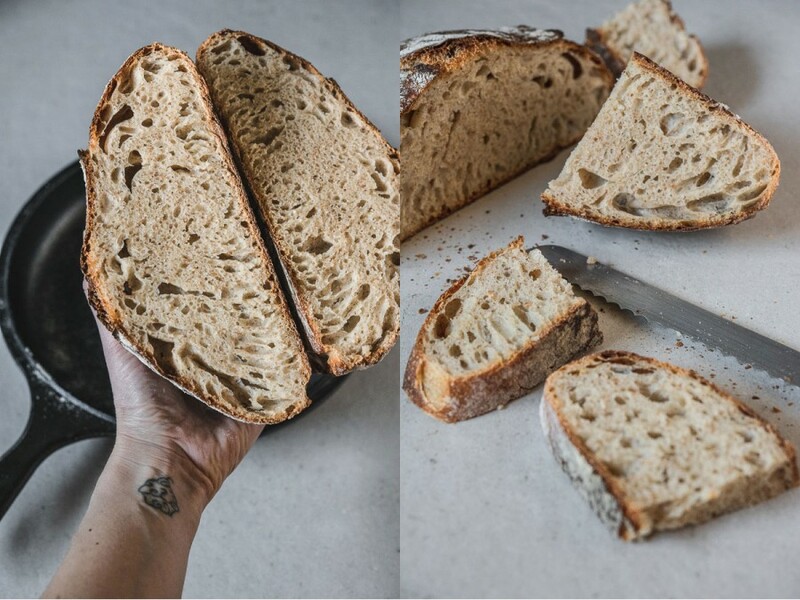 My bread never comes out exactly the same, but it always wonderfully delicious with chewy texture and very crunchy crumb. Give it a try! It's so worth it! In a medium-size mixing bowl, mix together both flours and set aside. Place the sourdough starter into a large mixing bowl, pour over the water and mix gently to dissolve it. Add the flours and stir the mixture slowly with your hands until it comes together. Scrape the sides of the bowl with a plastic scraper or a spatula. At this point, the dough should come together and be slightly sticky. Cover the bowl with shower cup and let the dough rest for 25-40 minutes. After the resting period, add the salt and leaving the dough in the bowl start squashing the dough with your knuckles. 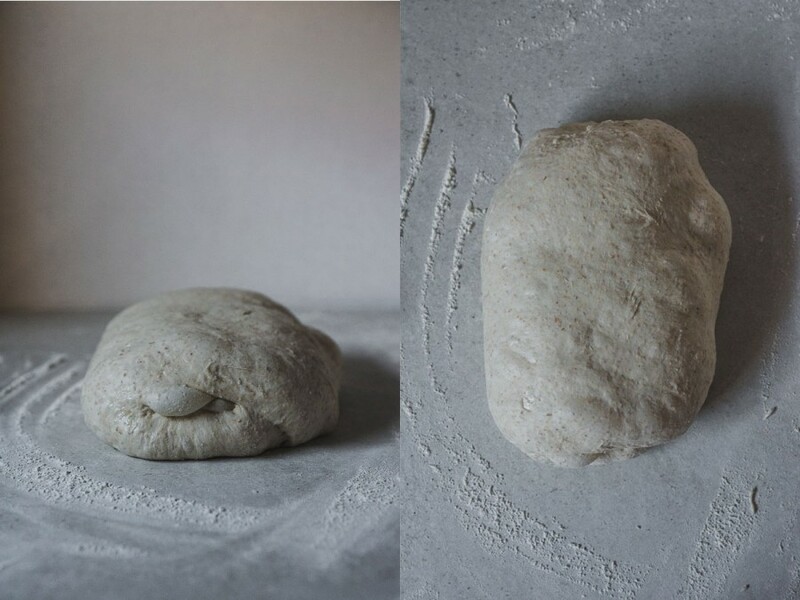 Lift the portion of the dough from the side, stretch and fold into the middle and press with your knuckles. Turn the bowl 90º clockwise and stretch, fold and press the dough again. Repeat the steps 8 times (10 in total). Cover the bowl with shower cup and let the dough rest for 30 minutes. Repeat step 5 three times more (4 in total). Leave the dough to rise overnight. Remove the dough from the bowl onto unfloured workspace. Lightly flour the surface of the dough and divide into two equal pieces, and let it rest for 30 minutes. Working with one piece at a time, flatten the dough slightly with your palms. Take the corner of the dough and fold it right over the opposite side, turn the dough 90º clockwise and repeat the previous step. Turn the dough over and tuck in the underneath of the dough with your fingers as you rotate the dough until you've formed a rounded ball. (You can see a nice shaping video HERE). Let the dough rest on the work surface about 30 minutes. After the resting period your dough will have flattened out a bit, but the edges should still be rounded. If they’re flat or if the dough is way spread out and shapeless, that may mean you didn’t turn enough during bulk fermentation. In any case, the fix is to reshape it how you just did (point 1&2) and letting it sit for another 30 to 40 minutes before moving on. If it looks right, you’re ready for the final shape. Lightly flour the top surface of the dough balls. Slip the dough scraper under each ball to lift it off the work surface, taking care to keep the round shape. Flip the dough so that the floured side is underneath. 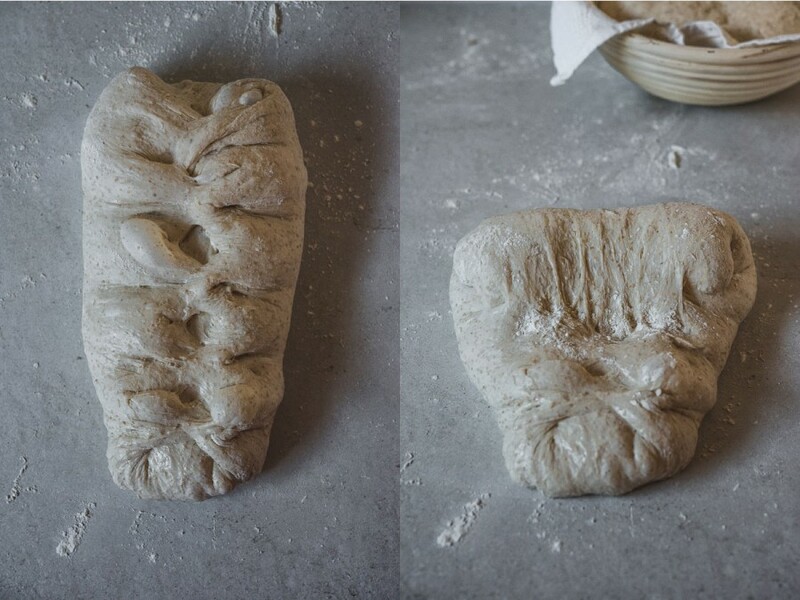 The final bread shaping involves performing a series of folds. I thought it would be easier for you to understand if I posted a video. (watch from 01:50). Generously coat with flour (50/50 rice flour and wheat flour) the inside of the proofing basket and place the dough inside (seam side up). Cover the basket with shower cup and let the dough rise in the warm place for 3-4 hours, or until almost doubled in volume. You can also place the baskets with the dough into a refrigerator for 8-12 hours. About 30 minutes before you are ready to bake, place your dutch oven cooker in the oven, and preheat the oven to 250ºC. 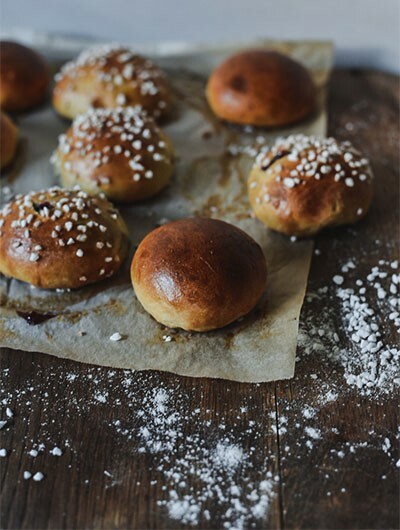 If your dough is in the refrigerator, take one of the baskets out now. Leave the second one in the refrigerator until you are done baking the first one. When to oven reaches 250ºC, put on the kitchen gloves, VERY CAREFULLY take the dutch oven out of the oven and turning the basket upside down carefully place the dough into the hot pan. 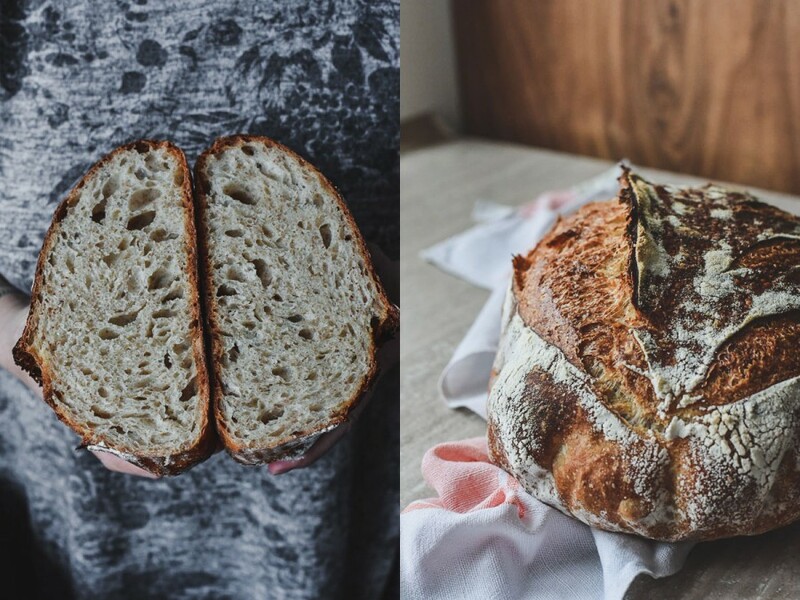 Score the loaf with a sharp knife, a razor blade or a lamé with a design of your choice. Cover the Dutch oven with the lid, transfer back to the oven, and lower the temperature to 220ºC. 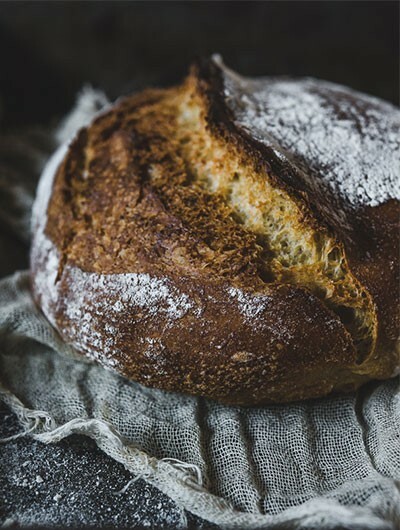 Bake the bread for 30 minutes, and then, carefully take off the dutch oven lid and bake for additional 20-25 minutes. Let it cool on a wire rack. 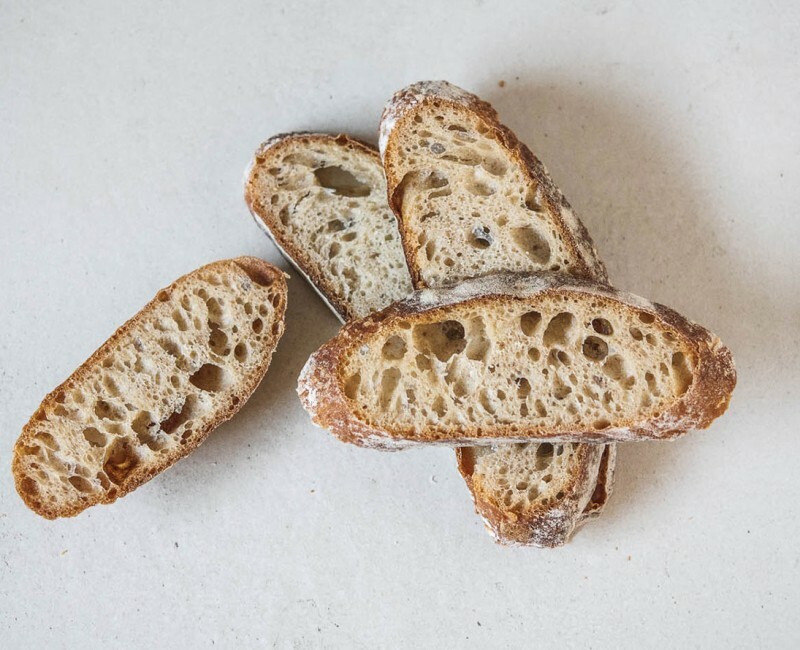 Perfectly baked bread should sound hollow when tapped on the bottom. 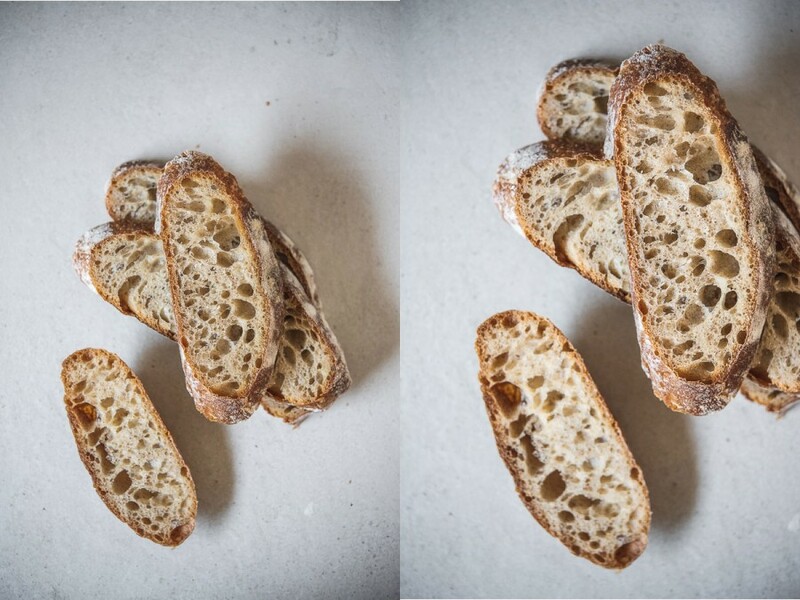 The photos are from different days of bread baking.